Iroquoian peoples in the northeast were successful farmers for centuries before the arrival of European colonial powers. Throughout the 17th and 18th centuries in central and western New York, they grew large acreages of corn grain and dried beans, in addition to a wide assortment of fruits and vegetables. 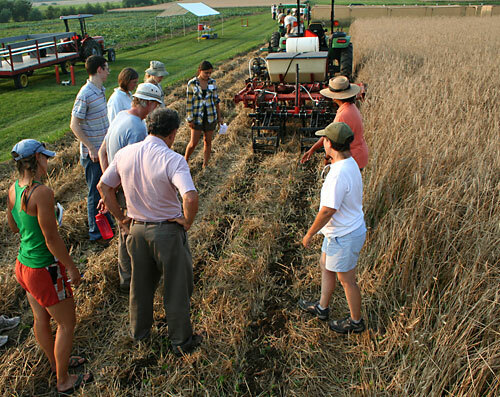 Many people assume that the Three Sisters, the traditional cropping system of the Iroquois, is a simple and relatively unproductive cropping system. But comparison of this system with European agriculture in the same time period shows that Iroquoian farmers produced two to four times as much grain as their European counterparts and supported many more people per acre of land. The series kicks off on Sept. 2 with Daniel Schwarz, Frederic J. Whiton Professor of English Literature & Stephen H. Weiss Presidential Fellow speaking on Reconfiguring Nature after Darwin: Skepticism and Sexuality in High Modernist Literature at 5:30 p.m., Warren Hall B45. 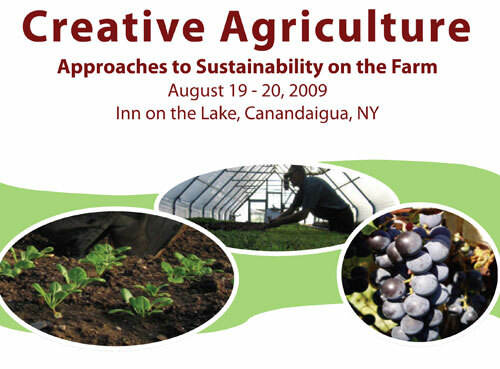 Find other dates and speakers at the Cornell Plantations website. Specialized equipment for weed control and reduced tillage. Organic breeding for quality and disease resistance. High tunnels for early and extended harvest of warm season crops. Analyzing cover crops at Freeville organic field day. Zone tillage demo at Freeville organic twilight tour. Participants view hoophouse crops at Freeville organic twilight tour. Visiting scientists from College of Resource and Environmental Sciences at China Agricultural University with host Laurie Drinkwater. 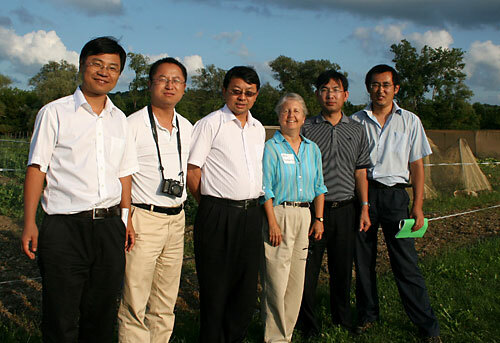 Laurie Drinkwater hosted a visit by five scientists from China Agricultural University in Beijing August 22 to 25. One of the scientists, Fusuo Zhang, Dean of the College of Resource and Environmental Sciences at China Agricultural University, delivered a seminar on “Ecological Interactions in Plant Production” during the visit. Zhang is the leading scientist of national nutrient management program in China and was awarded the National Natural Science Prize (the country’s most prestigious science award) in recognition of his work on rhizosphere nutrient management. The Fall 2009 Department of Horticulture Seminar Series (HORT 6000/4950) starts Monday, Aug. 31 at 3:35 in Plant Sciences Building Room 404. Pending student approval, the seminar hours will change to 4:00 to 5:00 p.m. after the first seminar. View the scheduled speakers and topics. 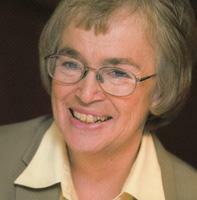 Melissa Kitchen, 607-280-4898 or mjb239@cornell.edu. Click on images for higher quality versions. More images below. Right, Floriculture Field Day attendees at Cornell University’s Bluegrass Lane research facility viewed and rated new and recent annual flower introductions. ITHACA, N.Y. – In July, attendees at the Floriculture Field Day and open houses at Cornell University’s Bluegrass Lane Research Center rated their favorite new and recent annual flower introductions. But this year, floriculture pros and general public agreed that Zinnia Zahara ‘Fire’, Sanvitalia Cuzco ‘Yellow’ and the ornamental millet variety ‘Jade Princess’ belong at the top of any gardener’s or landscaper’s list. Lobelia Techno Heat ‘Upright Light Blue’ and Salvia Velocity ‘Blue’ rounded out the industry Top 5, while Lobelia Techno Heat ‘Electric Blue’ and the purple fountain grass Pennisetum Graceful Grasses ‘Rubrum’ made the public list. The raters chose from among more than 240 annual flower cultivars from the seven companies that sponsored trials at Cornell in 2009: Ball FloraPlant, PanAmerican Seed, Syngenta Flowers Inc., Proven Winners, Oro Farms, W. Atlee Burpee & Co. and American Takii, Inc.
You can view images and ratings of previous years’ trials at the Bluegrass Lane Annual Flower Trials website: www.hort.cornell.edu/bglannuals. Results of this year’s trials will be posted there at the end of the season. The Floriculture Field Day also featured the sixth annual Kathy Pufahl Memorial Container Design Competition. View winners and other entries at www.greenhouse.cornell.edu. Right to left, Zinnia Zahara ‘Fire’, Sanvitalia Cuzco ‘Yellow’ and the ornamental millet variety ‘Jade Princess’. 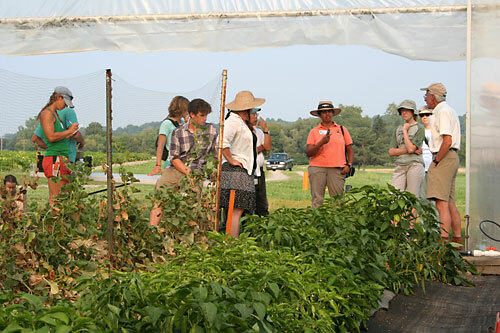 Below, Floriculture Field Day attendees at Cornell University’s Bluegrass Lane research facility viewed and rated new and recent annual flower introductions. From Justine Vanden Heuvel, assistant professor. Trent Preszler received an ASEV National Scholarship, as well as an American Wine Society Educational Foundation Student Scholarship. Jim Meyers received an ASEV National Scholarship, as well as an ASEV Eastern Section Scholarship. Congrats also to all the other Cornell grad students who were recognized at the 60th ASEV Annual Meeting in July: Craig Austin took home and award for best poster presentation and Kristin Alongi, Marin Brewer, J. Nicholas Jackowetz, Michelle Moyer, Rebecca Nelson also received scholarships. From Meg McGrath, Long Island Horticulture Research and Extension Center. Basil downy mildew, which was first reported in the U.S. in October 2007 in Florida and the Northeast in 2008, is unfortunately back again. And it’s being found several weeks earlier! Like the late blight that has been killing tomatoes and potatoes in the region, the pathogen causing downy mildew in basil produces a spore that can be dispersed long distances by wind, and then deposited onto plants by rain. There have been many perfect days for these pathogens to spread and cause more disease this summer. Cloudy days have provided protection from spore-killing UV rays. Wind currents have moved spores great distances. And late-day rains have deposited spores on plants and provided the high humidity and wet leaves that the pathogen spores need to germinate and infect. Unfortunately there’s not much gardeners can do to prevent their basil plants from being exposed to the downy mildew fungus. And there are no fungicides labeled for basil downy mildew that gardeners can use. The only way to minimize losses is to harvest leaves before they become affected. Routinely examine plants for symptoms. (See images at the Long Island Vegetable Disease photo gallery.) Downy mildew is difficult to detect by looking just at upper leaf surfaces because no distinct leaf spots form there. Instead, the affected tissue turns yellow. 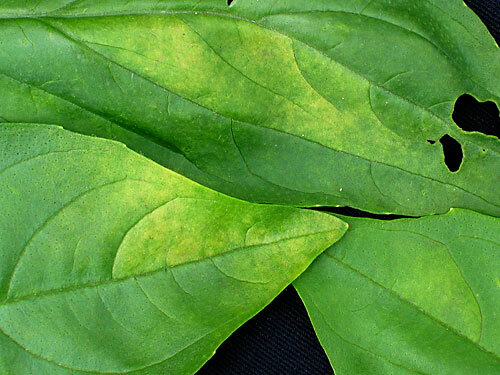 Basil leaves often have a slight yellow mottling which further challenges detection of downy mildew. But if yellowing is due to downy mildew, when you turn affected leaves over and look opposite the mottling you will see fungal growth that is white when first produced and later turns a distinctive purplish gray. These symptoms are unique to this disease. You can learn more about basil downy mildew, monitor its spread to predict risk for your plants, or report observations at Cornell’s Vegetable MD Online website. From a NYSIPM program news release by Mary Woodson. 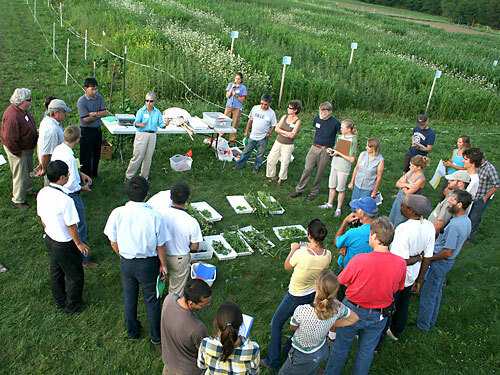 For their involvement in nearly a decade of research to develop, test, and fine-tune techniques that steeply cut pesticide and fertilizer use, staff members at Bethpage State Park have earned an Excellence in IPM award from the New York State Integrated Pest Management (NYS IPM) Program at Cornell University. Dave Catalano, Andy Wilson, Craig Currier and Kathie Wegman will accept the award at the Cornell Turfgrass Program Field Day at Bethpage August 12. Home of the 2009 U.S. Open, Bethpage comprises five separate golf courses on its 1,500 acres in the heart of densely populated Long Island, just 25 miles east of the New York City line. The Bethpage project has cut environmental impact up to 96 percent over conventional practices.